Joseph Farelli practices in the areas of labor and employment law for both private and public sector clients. He is an expert in labor arbitrations having represented clients (employers and unions) in more than 5,000 disciplinary, contractual and interest arbitrations at AAA, PERB, NJSBM, FMCS and various industry-wide forums in almost every service and construction industry, as well as for public employees and nonprofit organizations. 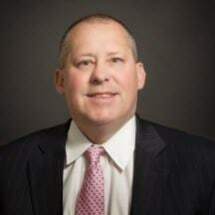 He represents clients in labor and employment litigation in state and federal courts and bankruptcy proceedings, as well as in unfair labor practice proceedings and representation cases before the National Labor Relations Board (NLRB) and New York State Public Employment Relations Board (PERB). He assists clients in drafting and negotiating collective bargaining agreements and advises them in labor and employment matters including compliance with federal, state and local laws and regulations, complaints or charges before human rights agencies, and employee discipline and counseling. He regularly reviews and prepares employment and separation agreements, stipulations, employee handbooks, employee policies and ethical practice code. His expertise extends to all aspects of internal union governance, including conduct of board and membership meetings, drafting of bylaws and constitutions, and overseeing election and ratification votes. He trains associates in all aspects of labor law including labor arbitrations, grievance processing, collective bargaining, and prosecution and defense of unfair labor practice and improper practice charges before the NLRB, PERB and PERC, as well as representation cases. Prior to joining Pitta LLP as a partner, Mr. Farelli was of counsel at Pryor Cashman, LLP, and an associate at the law firms of Herrick Feinstein, LLP, and Manning, Raab, Dealy & Sturm. CLE presentation in Ethical Issues in Employment Law: Internal Investigations at the New York City Bar (October 2015). LE presentation in College Football, Basketball, & the NLRB: How Will Collective Bargaining, Pay and Other Labor Issues Affect College Sports? At LERA (September 2014).